We do our best to keep this list as accurate as possible but please contact us if you have any questions about any particular features and we will be happy to answer any questions you have. Please click here for a more detailed feature comparison. 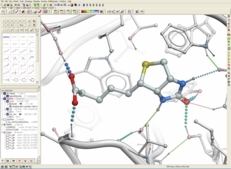 ICM-Browser (Free Download) Software for browsing molecules and making fully-interactive 3D molecule documents for embedding in PowerPoint and the Web using ActiveICM. 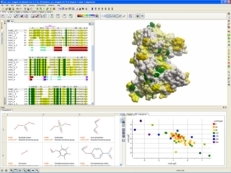 ICM-Browser-Pro A high quality visualizer and annotator for three dimensional molecular structures, sequences and alignments, chemical spreadsheets and biological data. ActiveICM (Free Download) Enables you to view and display 3D ICM graphical slides and animations interactively inside Microsoft PowerPoint and web browsers such as Chrome, Edge, Safari and Mozilla Firefox. ICM-Pro Easy-to-use and complete desktop-modeling environment for a biologist or a chemist interested in molecular structure and function. ICM-Pro includes ICM-Bio which can also be sold as a standalone product. ICM-Homology - Modeling High-throughput molecular modeling, loop modeling and refinement program. ICM-VLS - Virtual Ligand Screening A structure-based drug design program allows you to dock and score millions of compounds. An efficient and proven approach for lead discovery. MolScreen MolScreen is a set of high quality 2D fingerprint and 3D pharmacophore models for a broad range of pharmacology and toxicology targets. The models can be used for lead discovery or counter screening. 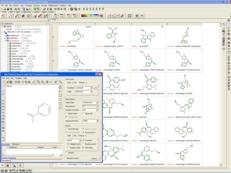 ICM-Chemist A standalone suite of programs for chemical drawing and editing, chemical database generation, chemical searching, clustering, and enumeration. ICM-Chemist-Pro A standalone cheminformatics products containing a wide set of 3D chemical tools, chemical superposition, 3D interactive ligand-receptor editing, and QSAR. MolCart MolCart allows you to store large chemical compound libraries for searching and analysis. Moreover, it uses a fast relational database which is freely available without any limitations. MolCart Compounds MolCart Compound Database is an up-to-date collection of vendor compound databases. ICM-Scarab - Data Capture, Integrator and Miner. Developed by MolSoft in Collaboration with Scientists at the Structural Genomics Consortium. See the Minimum Hardware Specifications required to run the ICM software. Node Locked The license is placed on a single machine and use is limit ed to that machine. NOTE: The price is the same for Floating or Node Locked licenses. Generally the Floating license is more popular because it gives the user alot more flexibility with the use of ICM. Floating cluster licenses protect against hardware failure s and replacements. We can offer specially tailored easy-to-use graphical user interface products for Chemists (MolChemist) and Biologists (MolBiologist). "Molsoft's ICM is a set of very potent tools covering the entire drug design cycle from homology modeling of a target protein to virtual screening, flexible ligand docking and scoring. In addition, the scripting language allows an advanced user to adjust ICM scripts to the needs of a particular research project." Dr. Mark Shenderovich, Principal Scientist, Structural Bioinformatics, Inc.